A robust system for protecting intellectual property rights is available in the United States. The forms of intellectual property protection available include patent, copyright, trademark and trade secret. Each of these forms of intellectual property has its own strengths and weaknesses, and generally the selection of the type of protection is based on the subject matter at hand and the nature of the protection desired. Utility patents are generally considered the strongest level of intellectual property protection in the United States. They grant the owner the right to exclude infringers from making, using, offering for sale or selling within the United States, or importing into the United States, the patented invention. To be eligible for a utility patent, the invention must be new, useful and not obvious, and be patentable subject matter. While originally a first-to-invent system, patent applications filed on or after 16 March 2013 are examined based upon a first-to-file regime. The term of a new utility patent is 20 years from filing of the application. Should Patent Office delays cause the examination process to exceed three years, a mechanism called patent term adjustment is used to restore the lost patent term. A patent term extension is also available for one patent covering a pharmaceutical product that was subject to review by the US Food and Drug Administration (FDA). The United States does not offer utility model protection (or any equivalent protection) as found in many other countries. The United States does, however, allow applicants to file for provisional patent protection to establish a priority date. A provisional patent application is filed with the Patent Office but does not undergo substantive patent examination, nor can any patent rights be granted directly from the application. Once filed, the applicant has up to one year to file a full utility application that references the provisional application. Otherwise, the provisional application is abandoned. Copyright is available in the United States to protect literary and artistic works, and is available for original works by authors or artists in a tangible format. Copyright protection subsists for both published and unpublished works upon their creation in a tangible format, so copyright registration – while advisable – is not necessary to create copyright in the United States. Registration, however, is necessary to litigate copyright infringement of US works and allows a copyright holder to claim statutory damages for infringement. Copyrights are subject to several fair-use defences that negate copyright infringement (e.g., news reporting, teaching, research), and are also subject to First Amendment protection (i.e., constitutionally protected free speech). A copyright generally has a term of the author’s lifetime plus 70 years. Works published outside the United States may also be eligible for copyright protection within the United States through a treaty (e.g., the Berne Convention) depending upon the country in which the work was first published. Patent protection is also available for new plants that have been asexually propagated. This patent protection covers asexually propagated plants, even if they are capable of sexual reproduction, but specifically excludes tuber-propagated plants. Plant patent protection is available in addition to utility patent protection, and provides the right to exclude others from using, selling, offering for sale or importing the asexually propagated plants or parts from the plants in the United States. The term for a plant patent is 20 years from filing of the application. Federal trademark registration is available for products or services used in interstate commerce in the United States. Various state laws also protect trademarks in the United States. While federal trademark registration is not required to use a trademark, there are several advantages to federal registration, including the exclusive right to use the trademark nationwide, the ability to use the ® symbol within the United States and the ability to bring trademark infringement actions in the federal courts. There is a formal trademark application and examination process, including publication for opposition. Additionally, intent to use applications may also be filed. Trademark applicants may file with the Patent Office or through the Madrid Protocol. Until 2016, trade secret protection was mostly regulated by individual state law in the United States, with the vast majority of states having enacted some version of the Uniform Trade Secrets Act (UTSA). In 2016, Congress enacted the Defend Trade Secrets Act of 2016, which provides for federal trade secret protection.3 This federal law supplements state law causes of action available for trade secrets. Federal law also contains criminal provisions relating to economic espionage and theft of trade secrets. While trade secrets have typically been relegated to information that was considered unpatentable or could not be easily reverse-engineered, the prior user rights defence to patent infringement may increase the value and prevalence of trade secrets. In the pharmaceutical and biotechnology fields, intellectual property protection is augmented by various types of regulatory exclusivity from the FDA. In the case of pharmaceutical drugs, the FDA grants exclusivity for new chemical entities (five years), new drug products (three years), certain changes to drug products (three years), orphan drugs (seven years), paediatric exclusivity (six months) and exclusivity for the first generic applicant to challenge patents asserted to cover the drug (six months). In the case of biologic drugs, the FDA grants 12 years of data exclusivity against approval of a generic, or ‘biosimilar’, application, but there is no corresponding exclusivity for the first biosimilar applicant to challenge a patent covering the biologic drug. In the case of new antibiotic drugs that target certain drug-resistant micro-organisms, the FDA is authorised to add five years to applicable exclusivities under the Generating Antibiotic Incentives Now (GAIN) Act. GAIN exclusivity allows for up to a decade of marketing exclusivity for certain antibiotic drugs that are eligible for new chemical entity exclusivity. Enacted on 16 September 2011, the Leahy-Smith America Invents Act (AIA) was the most comprehensive patent reform legislation in the United States in over 60 years. Since enactment of the AIA, new legislation concerning intellectual property rights has been largely absent. By contrast, the courts have been quite active in shaping intellectual property law, including clarifying provisions of the AIA. At issue in TC Heartland was the proper venue for district court patent cases. While there are 94 federal judicial district in the United States, procedural law dictates in which districts a patentee can bring an infringement lawsuit. In TC Heartland, the Supreme Court decided that under the patent-specific venue statute, a patent infringement lawsuit could only be brought where the defendant resides, which, for a corporation, is its place of incorporation or its principle place of business. This is in stark contrast with decades of past practice where patent cases were brought throughout the country, premised on the fact that patent infringement typically occurs nationwide. As a result of this change, patent cases now have shifted away from patentee-friendly districts such as the eastern district of Texas and toward districts with more corporations such as the district of Delaware. This has led to a backlog in certain districts (i.e., the district of Delaware). Also, the decision has led to extensive motion practice by defendants to change venue, which has frequently succeeded (especially where the case was recently filed). Another potential change as a result of this decision is that plaintiffs seeking to sue multiple defendants on the same patents will need to file multiple actions in different districts. This in turn may lead plaintiffs to consolidate the cases in one district for discovery purposes. Such practice is referred to as multi-district litigation and generally will add to an increase in complexity and costs of the actions. In Matal v. Tam, the Supreme Court held that free speech rights under the First Amendment trump a trademark law prohibiting registering ‘disparaging’ terms as federal trademarks. The trademark at issue was THE SLANTS, a racial slur. The court held that government censorship of allegedly ‘disparaging’ trademarks violated the free speech clause of the First Amendment, thereby expanding the terms eligible for federal trademark protection. The Supreme Court recently decided two related cases involving the Biologics Price Competition and Innovation Act of 2009 (BPCIA), the law providing for generic biologic drugs (i.e., biosimilars) in the United States. In these two consolidated cases, the Supreme Court held that notice of commercial marketing provided by a biosimilar applicant before FDA approval is effective under the law. The Court also ruled that the BPCIA is not enforceable by injunction under federal law, thereby preventing patent holders from filing declaratory judgment actions in an attempt to enforce any of the provisions under the BPCIA. 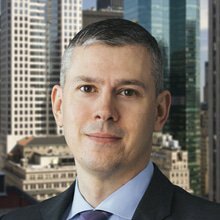 In what is the most eagerly anticipated patent case currently pending before the Supreme Court, the issue is whether inter partes review (IPR) at the Patent Office is constitutional. Added as part of the AIA, IPRs have become a popular forum to challenge the validity of issued patents. These proceedings are conducted by the Patent Office and, while quasi-judicial in nature, are not conducted by a district court. As patent rights are considered private rights in the United States, the argument before the Supreme Court focuses on whether the Patent Office, which is not part of the judiciary, can take back private rights after they are granted. As the Patent Office is part of the executive branch of the US government, it was argued that separation of powers would only allow the judicial branch to decide the rights could be taken away. This case may dramatically alter the IPR process, including the possibility of limiting which patents are subject to IPR or disbanding the process altogether. The Supreme Court is also considering whether the Patent Office needs to consider all of the challenged patent claims during an IPR. Under the current practice, the Patent Office may deny the IPR petition outright, grant the petition in its entirety, or grant review of only certain patent claims. If the Patent Office institutes with respect only to certain patent claims, the other claims are not reviewed and that decision cannot be appealed. The Supreme Court is considering whether the AIA allows the Patent Office the discretion to limit its review to certain claims. Should the Supreme Court require an ‘all-or-nothing’ approach for these petitions, patentees may face challenges on more claims than in the past. Likewise, while petitioners may have all of the claims they petitioned instituted, they would face the downside of estoppel in any district court litigation over all the claims too. Patent applications may be filed for utility, design and plant patent protection. To file for utility patent protection in the United States, an application may be filed directly with the Patent Office or as an international Patent Cooperation Treaty application. There are two possible venues for enforcement of patents. First, infringement actions may be brought before the courts of the 94 federal districts that are spread throughout the United States and Puerto Rico. Second, in order to prevent importation of infringing goods, an investigation can be commenced by, and at the discretion of, the International Trade Commission (ITC), an administrative agency that sits in Washington, DC. An infringement suit may be brought only in a federal district where the defendant resides or, for businesses, has been incorporated. Foreign defendants may be sued in any federal district so long as personal jurisdiction can be found in the United States. The ITC, on the other hand, does not depend on personal jurisdiction over the accused party but has in rem jurisdiction over the accused infringing imported goods. Liberal discovery rules in the United States allow for a significant amount of pretrial discovery under a broad concept of relevance. Discovery is available from the opposing party through a variety of vehicles, including mandatory disclosures, requests for documents and things, interrogatories, depositions of witnesses and expert reports. Discovery is also available from non-parties by a subpoena for documents or deposition. One of the biggest drivers of the cost of discovery is electronic discovery, leading some courts to propose limits on the number of custodians or search terms that need to be searched. For ITC investigations, both party and non-party discovery are also available but must be produced faster given the compressed time frame of such investigations. Patent infringement actions may be tried before either a federal judge or a jury. In order to be eligible for a jury trial, there must be a claim for monetary damages. Because federal judges do not exclusively handle patent cases, some may have little experience with patent matters. In the case of ITC investigations, an experienced administrative law judge who specialises in patent cases will typically decide the matter. A patent infringement trial will usually occur in two phases. The first phase determines infringement, validity and unenforceability, and the second phase, if needed, addresses damages. Evidence is presented through fact and expert witnesses, and must be admitted into the record to be considered by the judge or jury. The Federal Rules of Evidence determine what information can be included in the record. Demonstrative evidence may also be used at the trial in the form of summaries and diagrams. At trial, the patentee must prove infringement with evidence meeting the preponderance standard (i.e., infringement is more likely than not). For an accused infringer to prevail on its invalidity or unenforceability defences, it must prove its case with evidence meeting the more rigorous, clear and convincing standard because of the statutory presumption of patent validity. Prior to trial, disputes regarding patent claim interpretation are typically decided by the judge in a process called a Markman hearing. This process can become essentially a miniature trial before the judge and may include witness or expert testimony. Although the outcome of the Markman hearing may determine the eventual result in the case (so that, if the appellate court ultimately decides it was erroneous, the case may have to be retried), the Federal Circuit has consistently refused to review it as an interlocutory matter. Infringement may be direct or indirect. For direct infringement, all of the elements of the claim must be present in the accused product or method. Should a product not literally contain every element, the missing element may be shown using the doctrine of equivalents. The doctrine of equivalents is limited to equivalents that were not foreseeable at the time the patent claim was amended, and cannot include equivalents that are described in the specification and not claimed or were distinguished during patent prosecution. Infringement may also be indirect. Indirect infringement includes inducement and contributory infringement. For indirect infringement to be proven, evidence must show that there is direct infringement and that the indirect infringer is either inducing that infringement or is contributing to that infringement. The most common defences to patent infringement are non-infringement, patent invalidity and inequitable conduct. All of these defences can be brought either as affirmative defences or as counterclaims. Patent infringers may also assert more esoteric equitable defences such as laches7 and equitable estoppel. For applications with an effective filing date on or after 16 March 2013, public use or sale in foreign countries and art that is ‘otherwise available to the public’ is additional prior art. Inventors of these applications are provided a one-year grace period against their own disclosures (or a disclosure by someone who obtained the subject matter from the inventor), or for public disclosures made after a disclosure by the inventor (or another who obtained the subject matter from the inventor). To avoid an intervening disclosure from becoming prior art, the inventor must have publicly disclosed the same subject matter prior to the intervening disclosure. Otherwise, the intervening disclosure will be considered prior art for any subject matter not publicly disclosed by the inventor prior to the intervening disclosure. Of course, the first inventor’s own disclosure must be made within the one-year grace period to avoid becoming prior art itself. Applications with an effective filing date before 16 March 2013 are given the prior one-year grace period for public uses or sales in the United States. Invalidity defences include anticipation, obviousness and lack of enablement or written description. Patent infringers can also assert inequitable conduct to render the patent unenforceable. The standard for inequitable conduct requires clear and convincing evidence that the patent applicant misrepresented or omitted material information during prosecution of the patent with the intent to deceive the Patent Office. Information is material only if the Patent Office would not have allowed a claim had it been aware of the undisclosed prior art or correct information. The non-infringement defence can include either the lack of infringement or the existence of a licence. The prior user rights defence applies as long as the accused infringer commercially used the process in the United States at least one year before a subsequent inventor filed for a patent or the subsequent inventor publicly disclosed the invention, and provided the use was not derived. The accused infringer must prove this commercial use by clear and convincing evidence. There are several further limitations to asserting this defence, including that it can only be asserted by an alleged infringer for its internal commercial use or for an actual arm’s-length sale or transfer; it cannot be licensed and can only be transferred with the entire business; and it cannot be asserted against inventions made by, owned by or assigned to universities. Someone who claims to be the true inventor of a patent may assert rights to a patent over another who has ‘derived’ the invention within the Patent Office for patent applications, and the federal courts for issued patents. These derivation proceedings replace interference practice previously used to adjudicate priority between inventors under the first-to-invent system. Applications with an effective filing date before 16 March 2013 will still be eligible for an interference proceeding and applications with an effective date on or after 16 March 2013 are eligible for a derivation proceeding. A derivation civil action must be brought within one year of the issuance of the allegedly derived patent and a derivation proceeding in the Patent Office must be brought within one year of the first publication of the allegedly derived claim. For the federal district courts, the median time to trial for patent infringement actions is about two to two-and-a-half years, although this varies widely by federal district. If the case is tried before a jury, the jury will deliberate after all of the evidence is presented and will render its verdict, usually very promptly, thereafter. For a trial before a judge, the time needed to review all of the evidence and prepare the decision can take significantly longer, from months to over a year in some cases. ITC investigations are typically significantly faster, with the time from complaint to a final determination usually taking about a year to a year-and-a-half. Remedies for patent infringement include damages and injunctive relief. The patentee is entitled to actual damages, which may include lost profits and can be no less than a reasonable royalty for the infringement. A patentee who can show that the infringement was wilful may also be able to receive enhanced damages up to treble damages. The Supreme Court recently relaxed the enhanced damages standard by rejecting an objectively reckless requirement imposed by the Federal Circuit and leaving enhanced damages awards within the discretion of the district court.8 It appears this discretion standard has recently increased the number of awards of enhanced damages, but such damages are to be limited to egregious cases of infringement and not typical patent infringement. A prevailing party who can show under the ‘totality of the circumstances’ that the case is exceptional may also be awarded attorneys’ fees, although this type of relief is also discretionary and not frequently granted. A patentee may also request a preliminary injunction pending trial or, after trial, a permanent injunction against future infringement. Injunctions are not automatic in patent cases and require the court to consider the relative harms to the patentee and the infringer as well as any public interest. For ITC complaints, the principal remedy available is an exclusion order prohibiting importation. The Court of Appeals for the Federal Circuit reviews all trial-level patent decisions. This court is tasked with deciding appeals from final judgments and preliminary injunctions in patent cases, as well as appeals from the ITC and Patent Office. The record on appeal is typically limited to the trial record and no new evidence is allowed. The court sits as a three-judge panel and hears the oral argument. Once argued and submitted, the panel issues its opinion, usually within six months or less. The losing party can petition for a panel rehearing or for the entire Federal Circuit court to hear the case. Such petitions are rarely granted. The losing party may also petition the Supreme Court though a writ of certiorari but, again, that is only granted rarely, and only when the case presents a legal issue of very high significance. For civil actions, mediation and arbitration may be available to resolve patent disputes. While not compulsory, these mechanisms may be less costly than continuing with litigation. The Federal Circuit also has a mediation programme for appeals in patent cases. Third parties may anonymously, and for a modest fee, submit patents, published patent applications and other printed publications for consideration and inclusion in the patent record provided that the third party provides a concise statement regarding the relevance of each reference. A third party must make its pre-issuance submission before the earlier of a notice of allowance for the patent or the later of six months after publication of the patent application or the first rejection of the application. A patent owner may also request supplemental examination after a patent is granted. This procedure can be used by a patent owner to submit new information regarding patentability. If the Patent Office finds that a substantial new question of patentability is raised, it will order a re-examination of the patent. This procedure provides a potentially powerful tool for a patent owner to avoid the threat of inequitable conduct allegations in the future, but cannot be used to remove currently pending inequitable conduct allegations or for prior art currently asserted in litigation against the patent. Post-grant review (PGR) allows a third party to petition the Patent Office to review a patent or broadening reissue patent based upon patents, printed publications and affidavits. The petitioner must file within nine months of issue of the patent or reissue patent, and can request cancellation of one or more claims of a patent or broadened claims in a reissue patent. The Patent Office will grant the petition if at least one of the claims is likely to be unpatentable, or the petition raises a novel or unsettled important legal question. This is more restrictive than the prior re-examination standard, which required only that the third party establish the existence of a substantial new question of patentability. A denial of the petition is not reviewable by the courts. If the petition is granted, the petitioner must show invalidity by a preponderance of the evidence standard before the Patent Trial and Appeal Board (PTAB). The PTAB decisions are reviewable by the Federal Circuit. Post-grant petitions are available for patents with claims having an effective filing date on or after 16 March 2013. While an IPR has some of the character of district court litigation, one important difference is that the PTAB construes patent claims using the broadest reasonable claim construction standard, a standard that is broader than the one used in district court litigation. As a result, this broader standard increases the risk of invalidity in an IPR versus district court litigation. As a hedge against potential invalidity, a patent owner may submit a limited number of amended claims for consideration by the PTAB, and the IPR petitioner must also show these amended claims are invalid.12 However, while submitting amended claims is allowed, current practice shows that the PTAB rarely grants the amendment, limiting their utility in avoiding cancellation of all patent claims. Since taking effect, about 8,000 IPR petitions have been filed.13 Of the approximate 7,300 petitions that have reached the state of an institution decision by the PTAB, about 14 per cent were settled before the PTAB considered whether to institute the petition. For the remaining petitions, since inception, about 68 per cent were instituted for trial by the PTAB and the rest were denied. This rate of institution for IPRs has steadily declined from 87 per cent in 2012 to 63 per cent in 2017. For the instituted petitions, the PTAB has completed approximately 1,950 trials with written decisions, with the majority (approximately 65 per cent) ending with all instituted claims found unpatentable. For the remaining petitions, the split was almost evenly divided between some claims found unpatentable (approximately 16 per cent) and no claims found unpatentable (approximately 19 per cent). The past several years have seen significant changes for intellectual property law in the United States. The most important change has been the implementation of IPR petitions to challenge the validity of issued patents. While it does not appear that IPR petitions have supplanted traditional patent litigation in district courts, these petitions appear to be filed concurrently with a large number of traditional litigations. The Patent Office and courts have been busy refining the IPR process with rule-making and opinions. 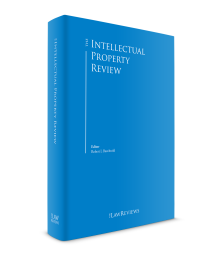 Although initially the IPR process appeared favourable only to patent challengers, the current statistics show more patent claims surviving the process. However, the Supreme Court may radically alter the IPR process in two cases currently pending before it. 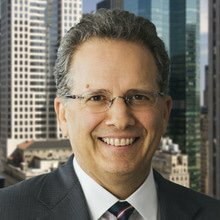 1 Jason A Leonard and Dominick A Conde are partners at Fitzpatrick, Cella, Harper & Scinto. 2 Samsung Electronics Co., Ltd v. Apple Inc (decided 6 December 2016) (Supreme Court). 3 18 U.S.C. Section 1836(b). 4 Alice Corp Pty Ltd v. CLS Bank Intl (decided 19 June 2014) (Supreme Court) and Bilski v. Kappos (decided 28 June 2010) (Supreme Court). 5 Mayo Collaborative Servs. v. Prometheus Labs. (decided 20 March 2012) (Supreme Court). 6 The Association for Molecular Pathology v. Myriad Genetics, Inc (decided 13 June 2013) (Supreme Court). 7 The Supreme Court recently limited the reach of laches during the statutory damages period in both patent and copyright cases. SCA Hygiene Products Aktiebolag v. First Quality Baby Products, LLC (decided 21 March 2017) (Supreme Court); Petrella v. Metro-Goldwyn-Mayer, Inc (decided 19 May 2014) (Supreme Court). 8 Halo Electronics, Inc v. Pulse Electronics, Inc (decided 13 June 2016) (Supreme Court). 9 See 35 U.S.C. Section 315(b). 10 A petitioner can appeal a denial if it is based on the one year ‘time-bar’ imposed by concurrent district court litigation against the petitioner. Wi-Fi One, LLC v. Broadcom Corp. (decided 8 January 2018) (Federal Circuit) (en banc). 11 See 35 U.S.C. Section 315(e). 12 Aqua Products, Inc v. Matal (decided 4 October 2017) (Federal Circuit) (en banc). 13 See https://www.uspto.gov/sites/default/files/documents/trial_statistics_20180131.pdf (current as of 31 January 2018).